I find this cover just striking. The close-up of that face and the brilliant eye that matches the colors in the misty woods next to it is beautiful. I don't think it necessarily gives anything away regarding what the story might be about (other than it most likely takes place in or near some woods) but I don't even care....I could look at this cover all day. When eight-year-old Greer Donner falls off his horse in the Washington wilderness, he braces himself to face the long hike home alone. But screams pierce the darkness, and he stumbles upon a dead-end road where a man is beating a woman—nearly to death. In a moment of courage, he stops the assault, but he’s left to face the man, who turns his wrath into an ominous threat: if the boy ever reveals what he has seen, his family will pay the ultimate price. The secret Greer now carries begins his emotional unraveling. In Seattle, Gillian Trett is a photographer with a troubled marriage and a childhood she’s trying to forget. Domestic tension mounts when her husband’s stepsister arrives. 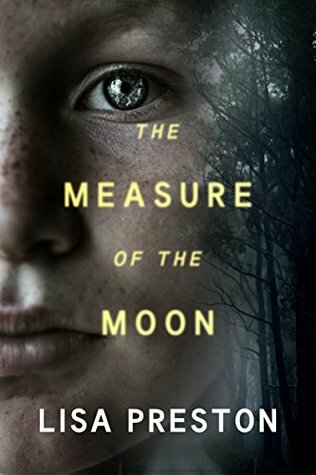 Desperate for a distraction, and a way to advance her career, Gillian throws herself into uncovering the history behind an old man’s Holocaust photo of boys in a forest. The mysterious children and the truth behind the scene haunt her—she can’t let go of the image, or of her own shadowed past. Then a horrifying revelation entangles Gillian’s path with young Greer’s. The boy and the woman, separated by a generation and a hundred miles, each confront the terrible power of harbored secrets—not only to eclipse the truth but also to illuminate the dark, unknown dimensions of their loved ones and themselves.